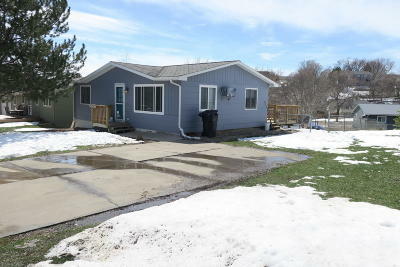 Great starter home or investment property found here! This ranch style home has a walkout basement, three bedrooms, two bathrooms, and lower level storage. It is located in a quiet cul-de-sac. The lot is large and has off street parking with room to build a garage.